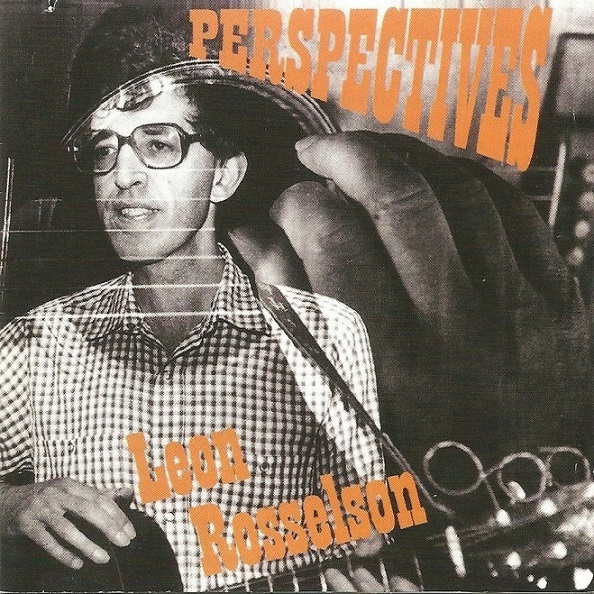 This CD constitutes the third in Leon’s series of compilations, with 18 oldies “resurrected from dead vinyl”. 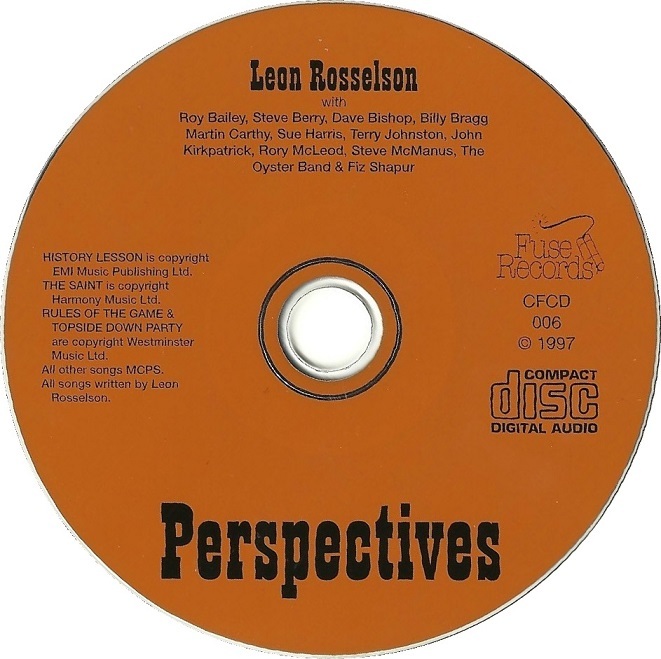 It covers material from the start of the 1970s up to 1988, after which all of Leon’s output had debuted on CD. There are seven re-recordings present, made at Mark Angelo Studios in London. The most radical of them is “Garden of Stone”, which loses the original harmonic guitar arrangement, in favour of a keyboard played by Fiz Shapur. 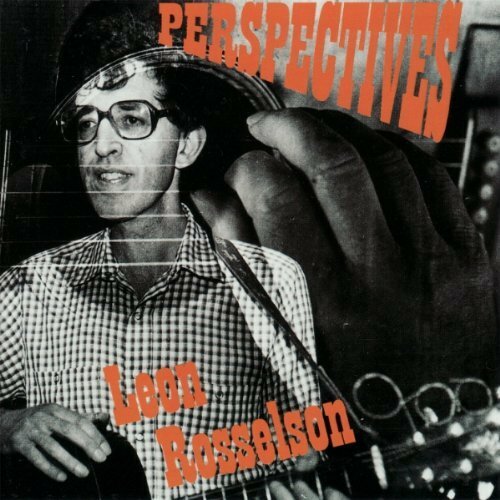 The cover of the CD is similar to that of the songbook, Bringing the News From Nowhere, with a photograph taken at the same time - apparently the same again as had featured on the cover of Rosselsongs. 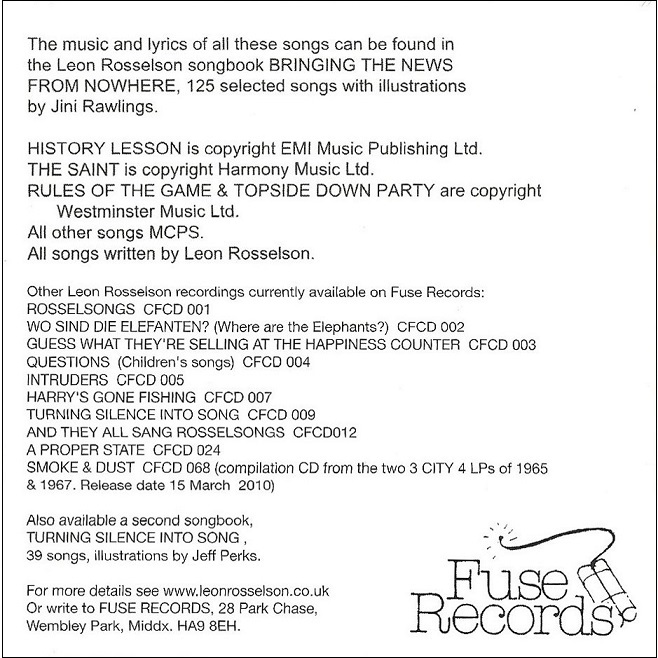 Copies exist with notices for later CD releases on the insert, suggesting it was re-issued at some stage, or at least that the insert was reprinted. 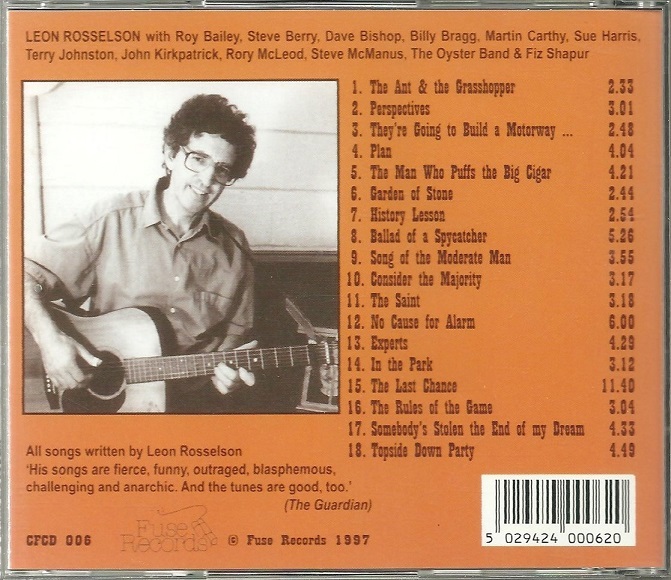 This CD also appeared in America, on the Gadfly Records label.